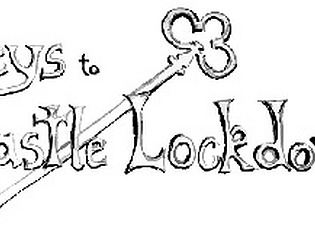 Keys to Castle Lockdown is competitive platform-based tug-of-war game in which two players battle it out to reach the throne room. The key feature (pun very much intended!) is that the most aspects of the game serve a dual purpose - for example, the key helps the player reach their goal by unlocking the door to the next room, plus it can also be used as a weapon against the other player. Additionally death, whilst normally a setback, can give an advantage if you block a crucial throw. This keeps the action fast, frantic and - most importantly - fun. Everything you see and hear in Keys to Castle Lockdown was created by the good and not-so-good folks at Broken Lantern games. Had tonnes of fun working on this!